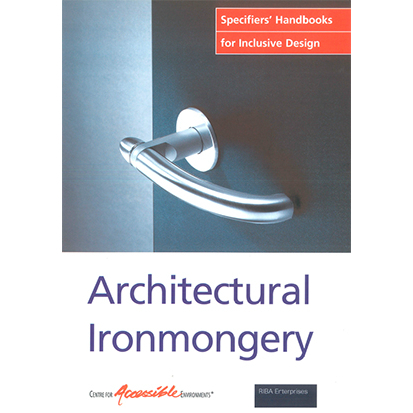 This handbook offers practical guidance to help specifiers understand the different types of ironmongery available, the factors contributing to the design and specification, and related legislation, building regulations and standards. This handbook offers practical guidance to help specifiers understand the different types of ironmongery available, the factors contributing to the design and specification, and related legislation, building regulations and standards. The design guidance is supported by case study examples which illustrate different types of ironmongery in a range of situations. We charge 10% postage and packing. UK postage only, contact us for overseas orders.